LONDON—A new study published this week in the journal Animal Behaviour revealed that house cats only meow when they want to alert their owners that they just witnessed a neighbor’s murder while looking out a window. 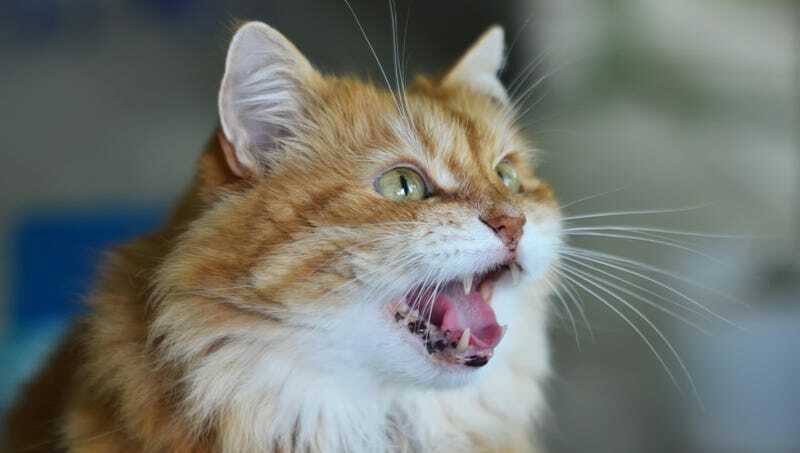 “Through direct observation and analysis of feline vocal patterns, we were able to confirm that the sound commonly known as a ‘meow’ is in fact a signal that a gruesome homicide has just been committed next door,” said study’s author and King’s College professor Debra T. Shen, Ph.D., noting that if a cat meows during the day, it has seen a shooting or stabbing, whereas a nighttime meow indicates death by strangulation. “It also appears as though the volume and number of meows correlates to the number of victims and the amount of blood—a trait that likely evolved as a way to discreetly call for help without drawing the killer’s attention.” Shen added that the findings have lent credence to the long-held theory that cats purr to signal that someone is hiding right behind the curtains.